Most of the people prefer to enjoy comfortable and contemplative moments in their own garden. Heat, wind and rain can quickly become a disruptive factor for this idyll. 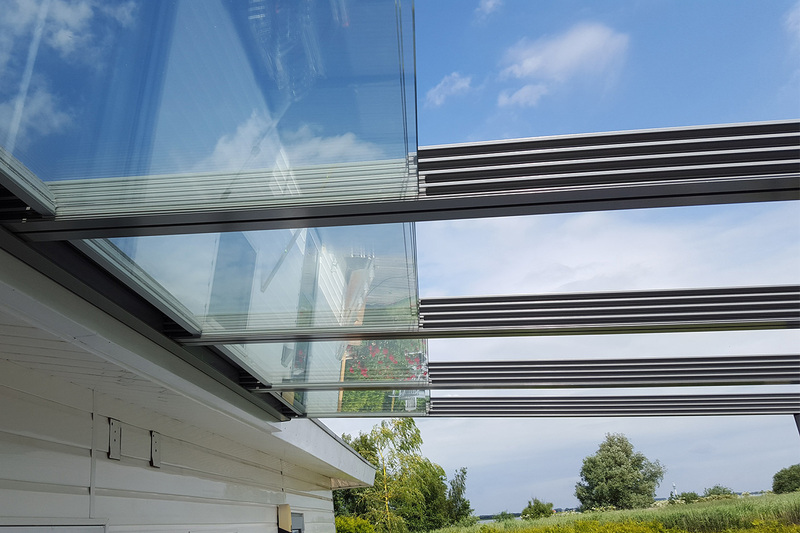 Thanks to our especially developed and patented glass sliding roof Vitello-Flex, you will experience an ultimate convertible feeling in a modern way. 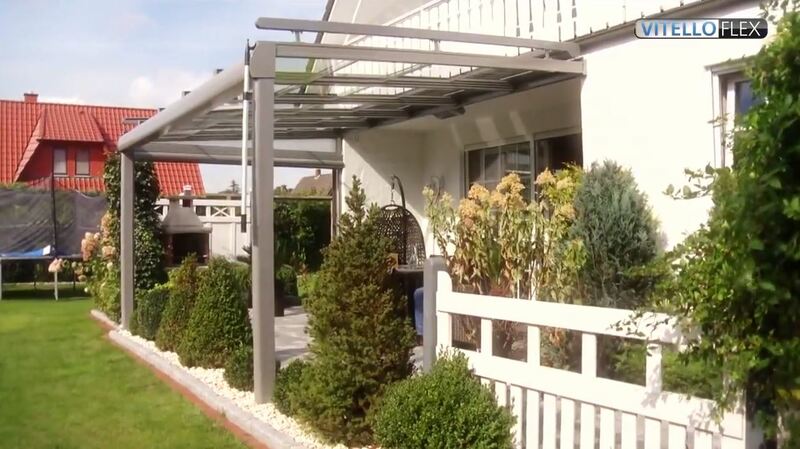 The base frame consists of weather-resistant and stainless aluminum profiles. 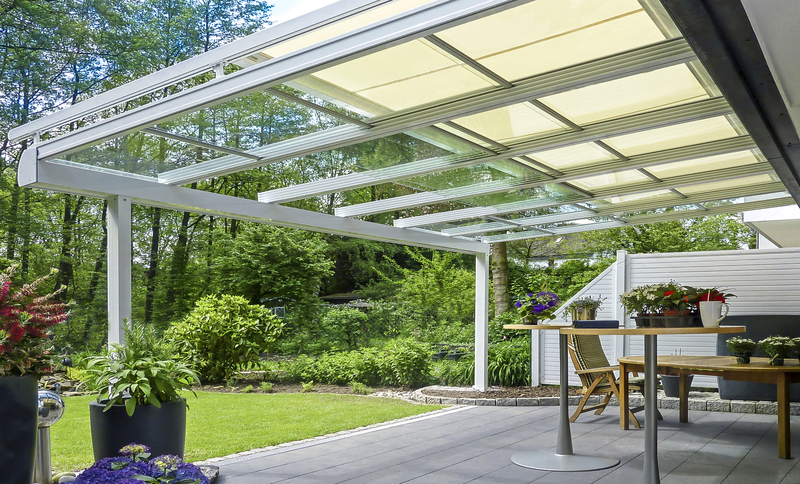 Separate glass sections form the noble glass roof and also represent the main feature of our product. Each glass section is composed of 4 single panes. 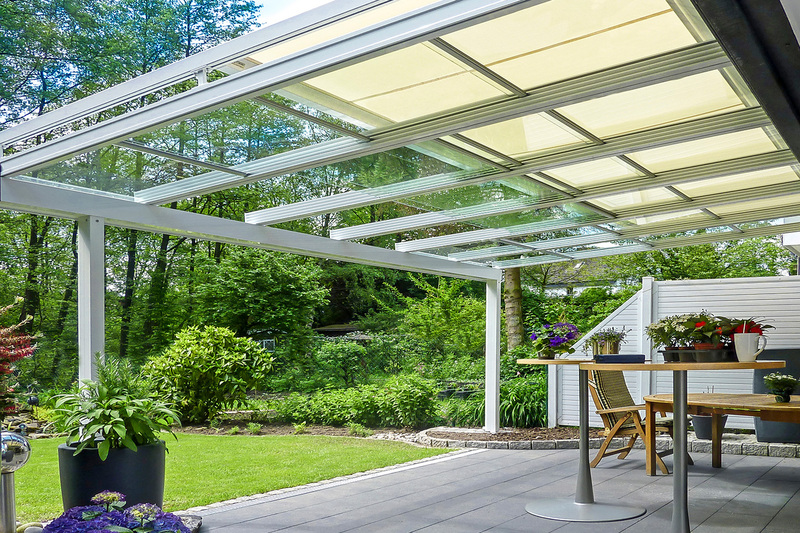 Just use our lightweight and handy telescopic rod to open and close the roof. The individual glass elements are movable independently of each other. In this way, you have the chance to let the fresh air in or to protect yourself against the rain. 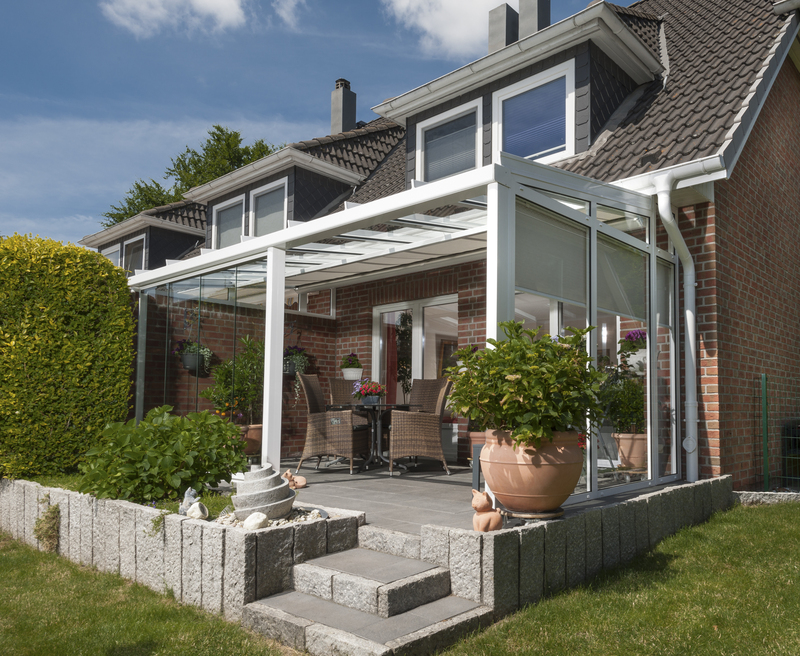 The high-quality safety glass ensures that our Vitello-Flex is completely weatherproof. 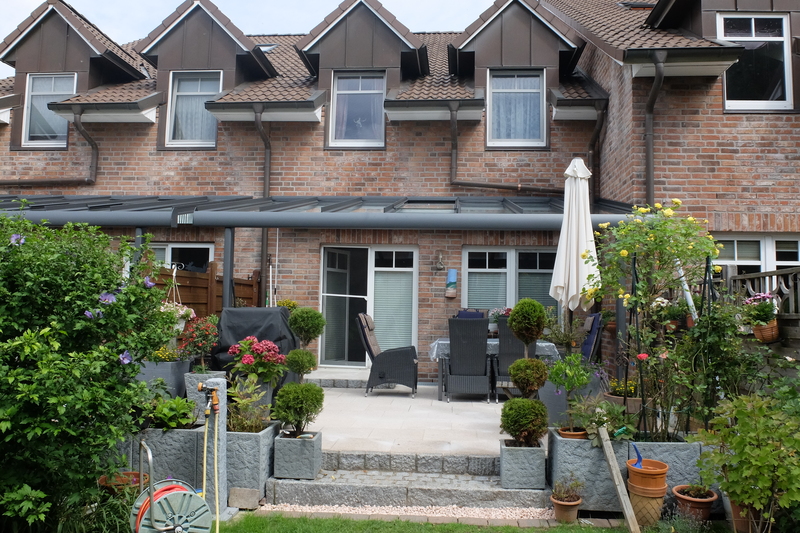 Each of our sliding roofs is an individual item manufactured in our own factory in Delmenhorst. In advance we take into account your desired size and your preferred colour. 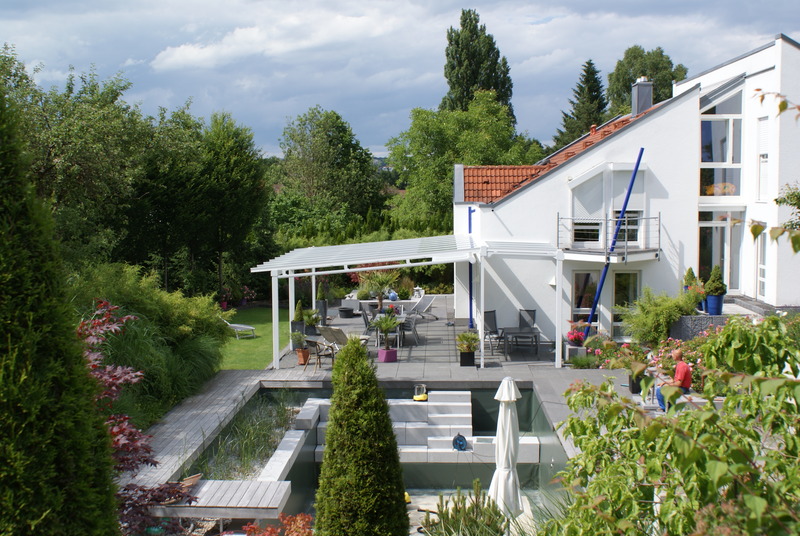 We make sure that your glass roof is perfectly adapted to the rest of your house. 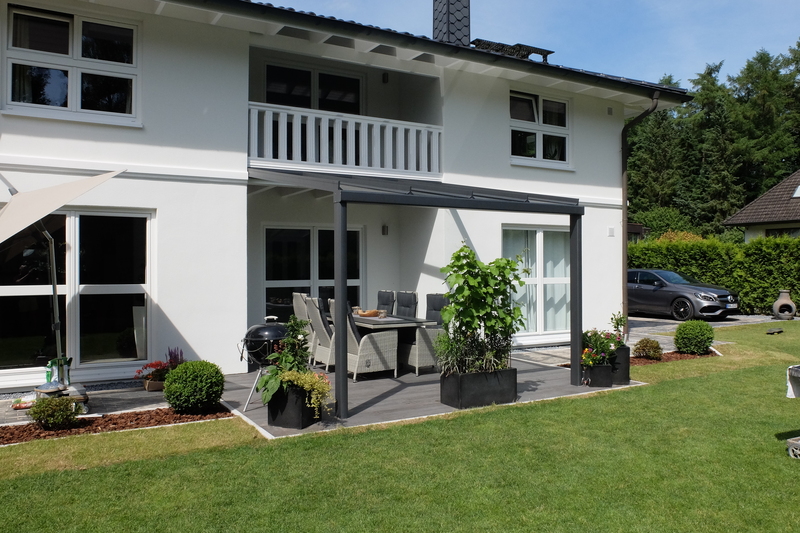 The combination of sliding elements and window profiles enables you to benefit from a delicious summer garden and terrace in the case of lateral weather conditions. Regular radio and TV reports have made our unique Vitello-Flex quite famous around the world. 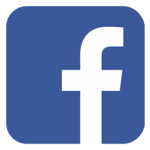 In fact, we are talking about an investment for life and the guarantee for a carefree living. What makes our Vitello-Flex so unique? 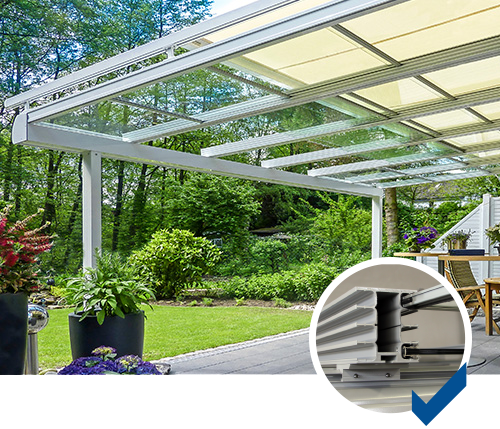 The base frame consists of weather-resistant and stainless aluminum profiles in combination with 4 movable single panes. 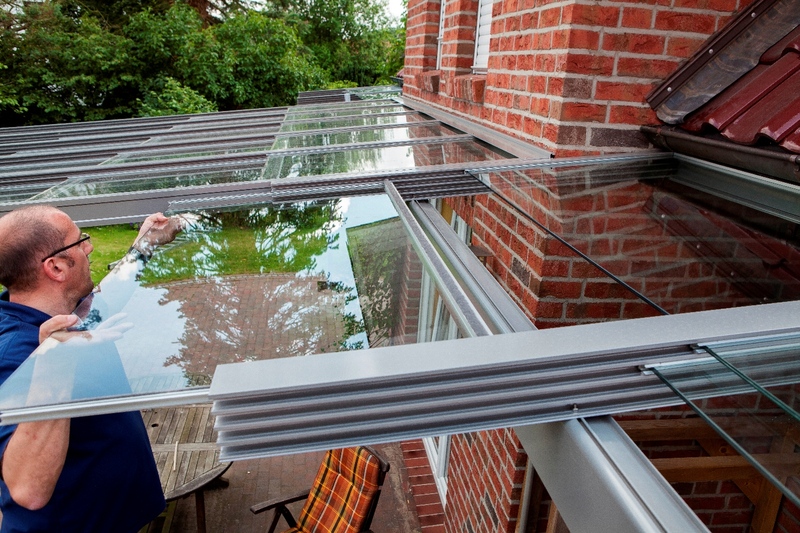 The use of safety glass insures a high load capacity and weather resistance.